Starring: Ruth Gordon, Bud Cort, Cyril Cusack, Vivian Pickles, Charles Tyner, Ellen Geer, Eric Christmas, Tom Skerritt. Director Hal Ashby made a name for himself throughout the 70’s with several high-quality films like “Being There”, “The Last Detail” and “Coming Home”, but it’s this lesser known film that’s his best work. Harold (Bud Cort) is a young morbid man who fakes his own death in elaborate suicides, just to get the attention of his rich neglectful mother. He also attends funerals of people he has never met just to indulge his obsession with death. 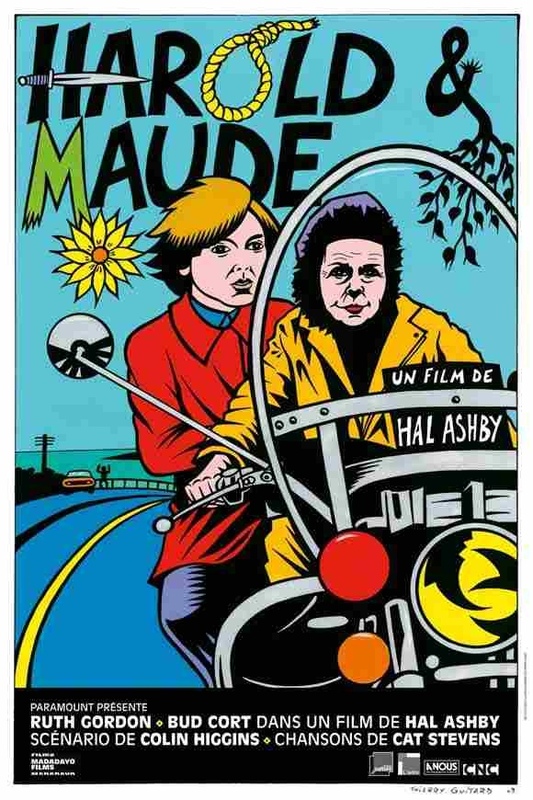 It’s at one of these funerals that he meets an old lady named Maude (Ruth Gordon), who is so positive and full of life that Harold is captivated by her and they both begin to fall in love with each other, exploring the wonders and beauty of life. This is one of those ‘sleeper’ films that seems to pass people by, for no other reason than they haven’t heard of it or it can be difficult to get hold of. It was shamefully ignored come awards season also. Over the years though, It has garnered enough word-of-mouth attention to become a cult classic, and rightfully so. It’s an absolutely superb little black comedy that sensitively deals with themes of suicide, death, love and overall, life itself. It’s also the most unconventional love story you’re ever likely to see. The thought of a relationship between a young man in his late teens and an old lady in her late 70’s may put some off. 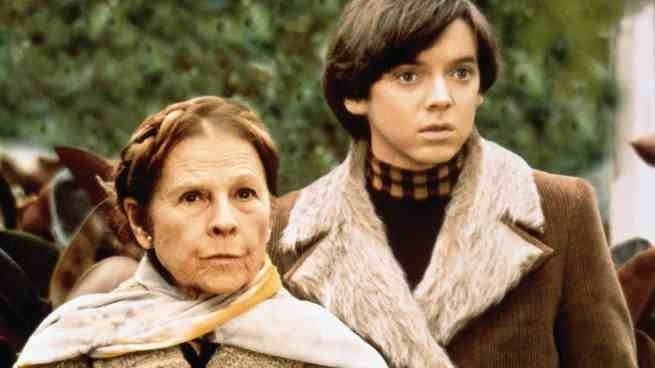 However, this is a relationship that’s delicately handled with fabulous performances from Bud Cort as the morbid, death obsessed Harold who has a ‘sense of the absurd’ and especially Ruth Gordon as the eccentric free-spirited Maude, who opens his mind up to having a zest for life. It was for “Rosemary’s Baby” in 1968 that Gordon won an oscar but it’s here that she delivers one of cinemas finest and quirkiest of characters. Cat Stevens’ songs throughout, also deserve a special mention. They are just a joy, and a fine example of how a soundtrack can compliment a film. An unusual, often hilarious yet touching and heart-warming gem, that leaves you with a big grin from ear to ear. A pure delight. This entry was posted on January 10, 2012 at 4:49 pm and is filed under Comedy, Drama, Romance with tags 1971. You can follow any responses to this entry through the RSS 2.0 feed. You can leave a response, or trackback from your own site.